LA JOLLA, CA— The current whooping cough vaccine was universally adopted in the US in 1996 to replace the original vaccine based on killed Bordetella pertussis because of a stronger safety profile. The new formulation was found to be effective in preventing whooping cough during vulnerable stages in the lifespan but the kind of pertussis vaccine used to prime the immune system leaves a lasting impression. In their latest study, researchers at La Jolla Institute for Immunology (LJI) report that individuals who had been inoculated with the newer vaccine as part of their initial series of shots, mount a weaker recall response when receiving booster shots later on. 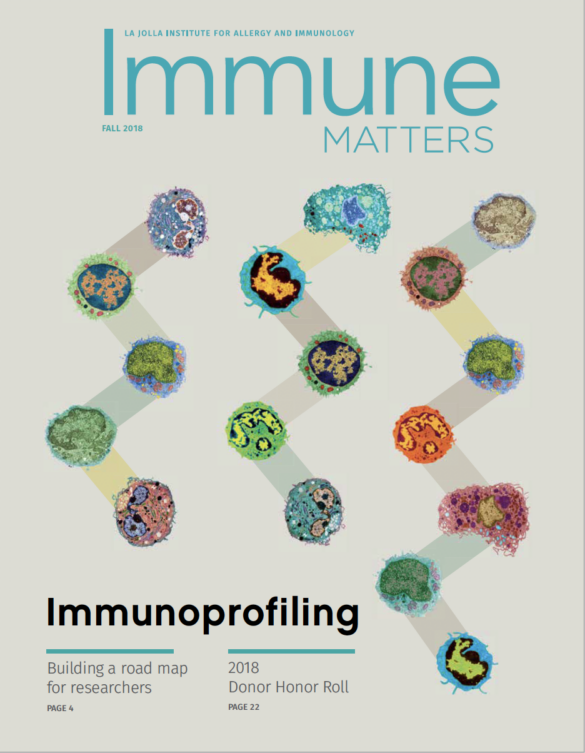 “Since we can see clear differences in the immune signatures induced by the two different vaccines within days of a booster, this suggests that a potential path forward would be to test if new vaccines might be able to reproduce the more protective signature,” says Sette. Vijayanand, Shane Crotty, Bali Pulendran, Bjoern Peters and Alessandro Sette. 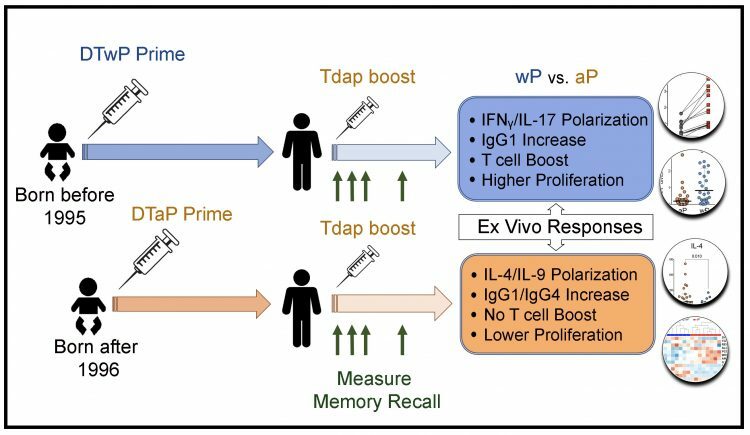 Th1/Th17-polarization persists following whole-cell pertussis vaccination despite repeated acellular boosters. Journal of Clinical Investigation, June 2018.